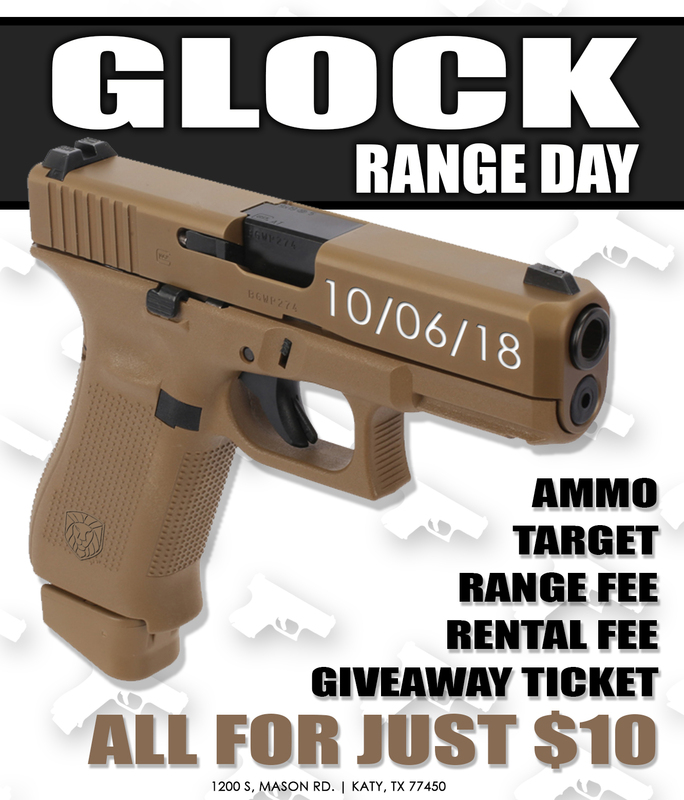 We're really excited to announce our Katy location's FIRST EVER Glock Range Day on Glocktober 6th, 2018! Come out for awesome giveaways, range discounts, HUGE Glock firearm sales, and a chance to meet our very own Glock Representative, Jim Lankford! Come out and shoot a wide variety of Glock firearms for just $10! That includes your range fee, rental fee, target, ammo, giveaway ticket, and eye/ear protection! 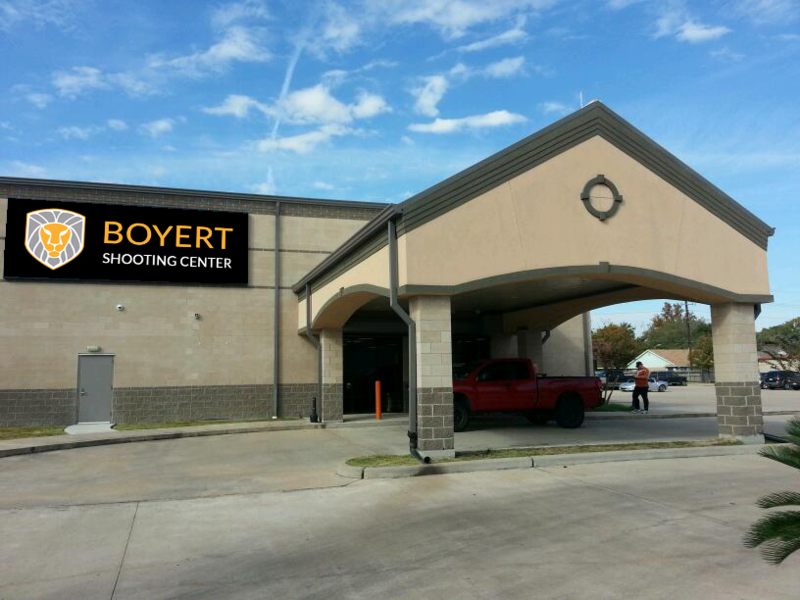 Boyert Members will even receive their first round of ammo for FREE! 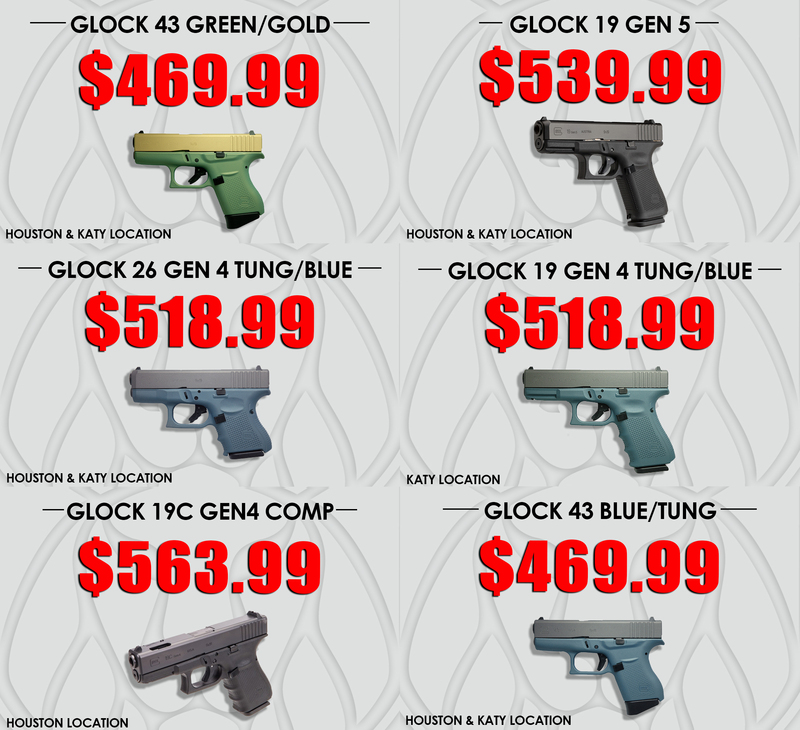 We're going to be featuring the lowest prices in town on all of our Glock firearms the entire day! Don't believe us? Check out our price leaks of just a few of the guns we'll be featuring during the sale! 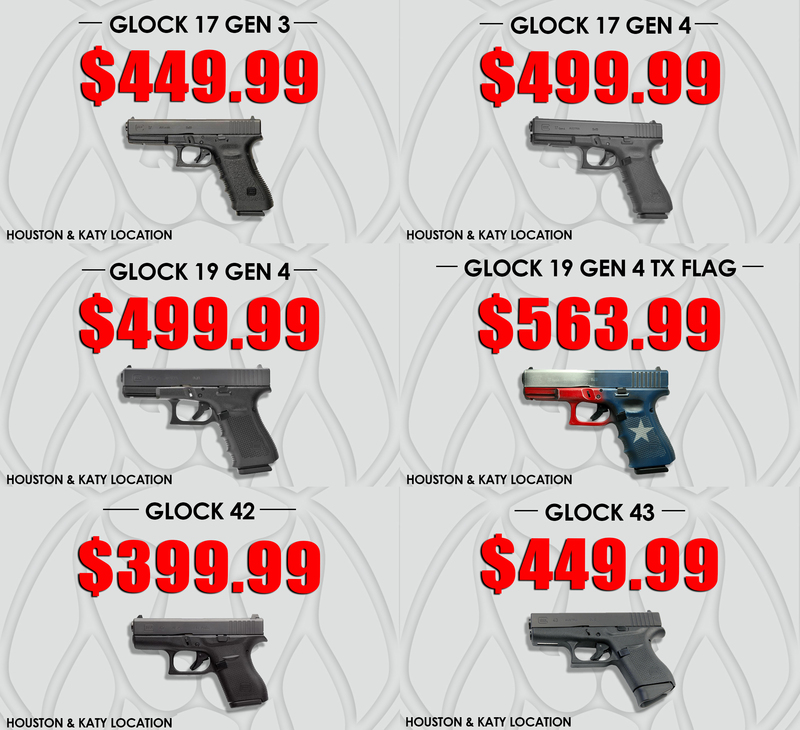 Even if you're not sure which Glock firearm is right for you, you'll have the chance to try before you buy for as low as $10! This is the perfect time to try before you buy, especially for those who want to shoot the brand new GLOCK 45 (9mm) pistol! 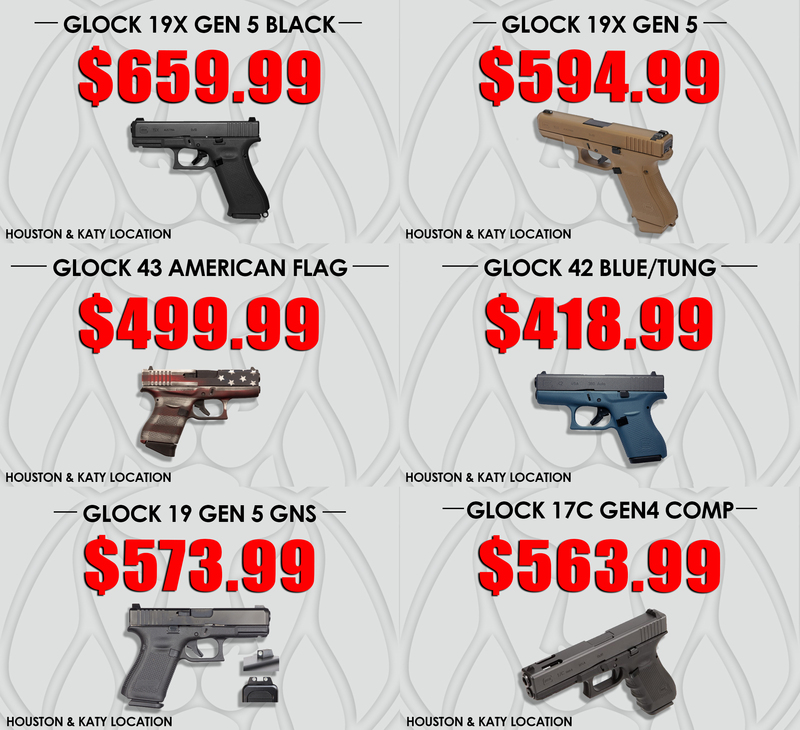 The same range/retail deals will be running at both locations, but our Glock Rep will only be at our Katy location. Don't miss your chance to rock out with a Glock out during our Glocktober Range Day!